According to the Belgium-based Centre for Research on the Epidemiology of Disaster (CRED), in 2017 alone there were 335 natural disasters affecting over 95.6 million people. In total, these disasters caused 9,697 fatalities and resulted in damages of US $335 billion. When mountaineering accidents happen, it is imperative that rescue teams seize the 72-hour "golden window" to locate survivors. However, weather is one factor that frequently impairs disaster rescue efforts. Real-time weather information is therefore critical to success. The Norwegian Air Ambulance Foundation is a non-profit charity organization working to improve specialized pre-hospital critical care and provide helicopter emergency medical services and fixed-wing air ambulance operations. As pilots are often forced to turn back when weather patterns suddenly change, the foundation required accurate and continuous weather information for secluded areas. 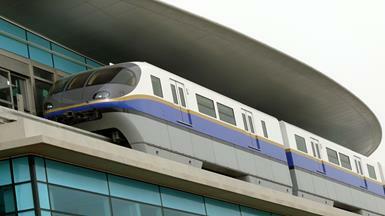 Real-time information was especially important for keeping emergency situations under control. The key question was how to ensure the Norwegian Air Ambulance Foundation received up-to-date weather information in a stable and consistent manner. The most common way for transmitting information and data is through wired Ethernet solutions - including both copper and fiber optic network cable. However, there are several obstacles to using these materials in mountainous areas. Copper wires are susceptible to corrosion (oxidation) and have short life expectancies. Susceptibility to corrosion at relatively moderate temperatures also makes storage problematic. Copper is also prone to higher levels of electrical interference, leading to a less clear signal than fiber optic cable. Fiber optic cable is expensive to install over long distances. Small and compact, it is vulnerable to cuts and damage during installation and construction. Transmission on the optical fiber requires repetition at distance intervals. The fibers can break and/or suffer transmission losses when wrapped around curves only a few centimeters in radius. Furthermore, it is challenging for specialists to install and repair fiber optic cables in dangerous mountain areas. 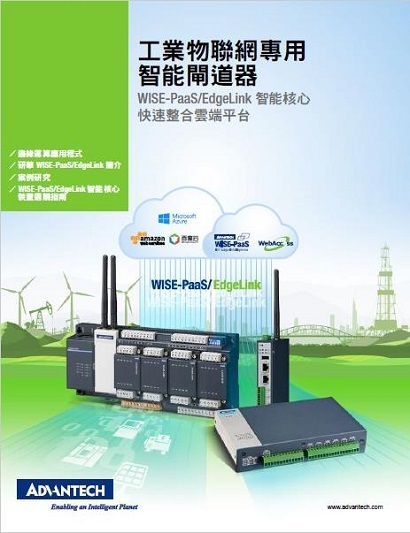 Considering the disadvantages of both copper and fiber optic network cables, high-endurance wireless Ethernet offered the best solution in this instance. Rough and unstable weather conditions - especially low temperatures, frequent rain, and dampness - presented a great challenge. 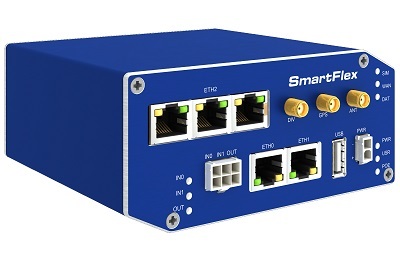 However, Advantech’s LTE SmartStart routers are technical grade and can endure a great range of temperatures (-40 to 75 degrees). The router also reduces the risk of disruption from electromagnetic pulses (EMP). To solve this problem, small weather stations were developed and installed in remote areas around the mountainous and rural parts of Norway. Station facilities utilized instruments and equipment for measuring atmospheric conditions in order to study weather and provide forecasting information. Usually, weather stations are equipped with some basic facilities: thermometers for measuring temperature, barometers for measuring atmospheric pressure, anemometers for measuring wind speed, and rain gauges for measuring rainfall levels over time. However, in this case basic facilities were insufficient for managing emergency situations and tough rescue operations. 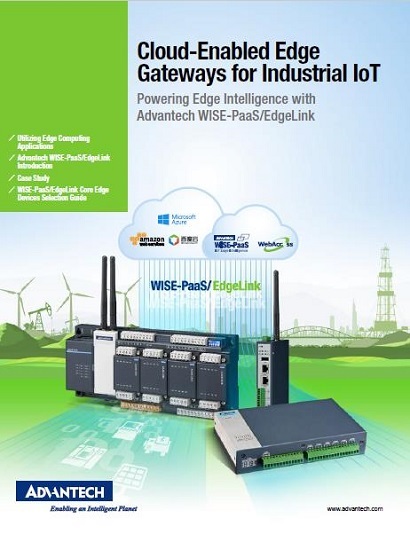 To handle the extreme conditions, weather stations were equipped with Advantech’s LTE SmartStart routers. 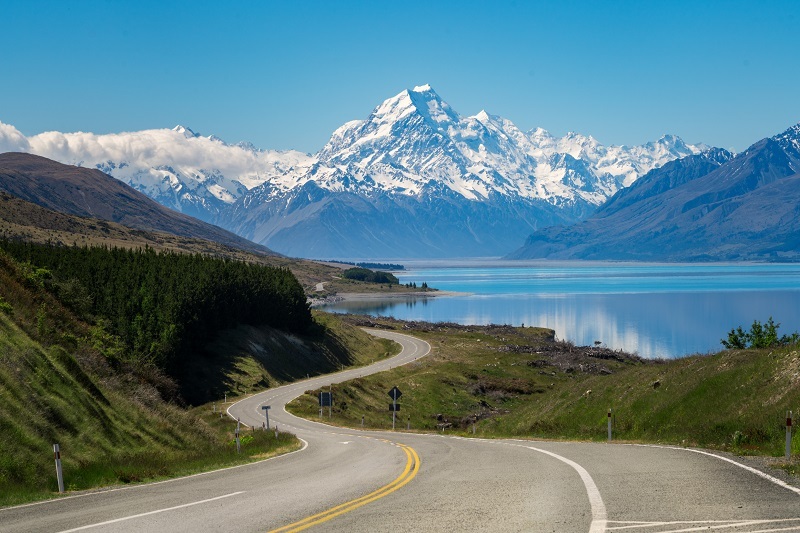 The LTE technology used within the SmartStart routers, coupled with their ability to operate at low temperatures, delivered a robust and reliable customer solution. Advantech routers usually connect to two or three high-specification cameras, as well as computers, various measurement tools, sensors, and electronics. The captured data could be sent simultaneously - either over a mobile network via robust mobile broadband routers to the central control room, or directly to an Air Ambulance helicopter. This solution delivered accurate, real-time weather information to pilots in all situations. It allowed them to predict potential problems, make better-informed decisions, and safely provide vital, life-saving services. 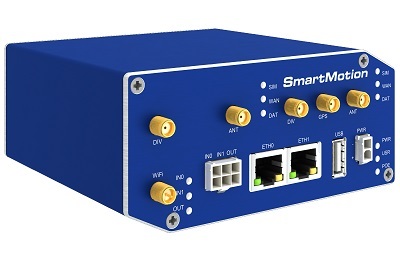 The reliability and durability of LTE SmartStart routers ensured effective operation in a challenging climate. The wide operating temperature range successfully endured cold weather and heavy rain. 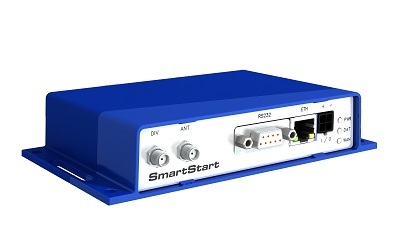 With a solid design, Advantech’s LTE SmartStart routers minimized communication obstacles for smoother rescue operations. 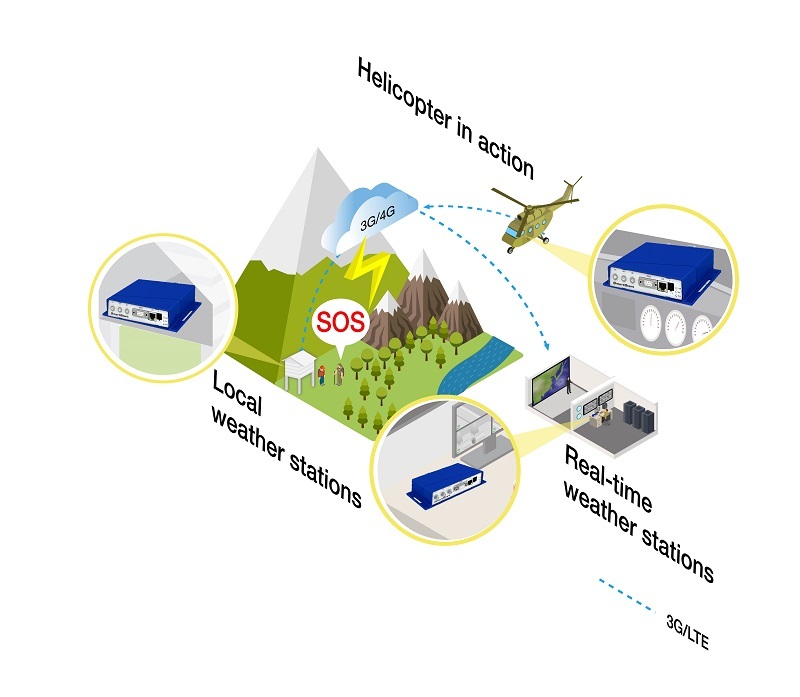 By equipping Advantech routers in small weather stations located throughout Norway’s remote mountain and rural areas, emergency rescue teams gained access to highly accurate real-time information . Advantech’s solution demonstrates how LTE technology helps rescue teams operate more precisely and improve decision making in even the harshest of environments.